When it comes to shower installation and replacements in Stark County, OH, Summit County, OH, and everywhere in between, Independence Plumbing and Bath has the preferred team of fully insured technicians. Our professionals understand the therapeutic benefits of a clean, comfortable, and relaxing bathroom environment. As a single-source bath remodeling company, we provide full service without the use of subcontractors to ensure functionally beautiful finished results. Cutting out middle parties not only creates a better customer-contractor relationship, but it allows us to directly complete each step of the process to keep you informed and guarantee results to impress your next house guest. Bathrooms are essential to our hygiene and everyday living; on average, we spend a total of a one and a half years in the bathroom throughout our lifetime. When you wake up in the morning and enter your shower to wash off before going about your busy schedule, or when you come home after working nearly ten hours and just want to let your worries rinse down the drain, are you able to truly relax? If leaking fixtures and a small tub have been plaguing your mind at these times, then you should consider investing in a shower replacement or tub replacement to resolve your bathroom issues and set a more peaceful mood. The soothing effects of a shower work to rejuvenate our minds and bodies so that we may be better prepared to accomplish our goals each day. A shower enables you to cleanse yourself of the past, and both mentally and physically prime yourself for the future. Here at Independence Plumbing and Bath, we want you to enjoy every minute that you spend in your Green, OH, or Fairlawn, OH, bathroom by requesting our comprehensive shower installation and shower replacement services. A New Shower Installation Can Save the Environment and Save Cash! 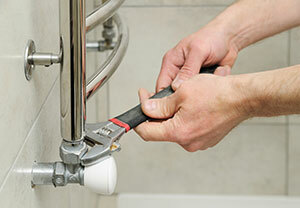 If you reside in or near Stark County, OH, and have been struggling with an old, dilapidated bathroom, or if you’re located in Summit County, OH, and have recently decided that you want to make the local Akron, OH environment safer, Independence Plumbing and Bath can save you money with a new shower installation. Rest assured that our installation and replacement services are the top of the line. Our technicians will combine their industry insight with your input to manifest a bathroom setup that’s reflective of your vision. We will help to provide you with a more accommodating and enjoyable environment for your family and guests. When you rely on us to perform any of our bathroom remodeling services, we will make sure that the job is done right the first time around so that you can reap the many benefits of a tranquil shower. Whether you are a North Canton, OH homeowner in search of remodeling contractors to perform ceramic tile installation, or you’re looking for a team of technicians specializing in bathtub to shower conversions in Akron, OH, our team of bathroom remodelers has the experience and certified training to complete any renovation project. We believe in being attentive and listening to our customers intently to comprehend your bathroom needs and desires completely. We will perform an extensive assessment of your property and then propose customizable solutions. When you choose Independence Plumbing and Bath for your next project, you can expect superior customer service, which is our top priority.